Private rented sector developer Essential Living has received the first payment from the second phase of the government’s Build to Rent fund. The company will get a £52 million loan via Royal Bank of Scotland and the Homes & Communities Agency to fund projects in Maidenhead, Archway and Bethnal Green. The three year loan will enable the developments to proceed, getting the first apartments complete for renting in early 2016. Essential Living has set out to convert office buildings or develop new properties, designed from the outset for rental. It has already received £150 million of backing from investor M3 Capital Partners to start its development programme. The company has received permission for the conversion of its Archway office tower to flats. But in Swiss Cottage, its bid to build a new residential tower has hit a problem, with its planning application turned down after local people objected to the bulk of the proposed development. “This funding will help us spread our existing equity even further, enabling us to develop our pipeline of 5,000 homes for long term rent quicker,” said Essential Living’s Daryl Flay. Build to Rent was established by the government in 2012, to help accelerate private rented sector development. An initial £700 million was topped up more recently to £1.1 billion. Funds are advanced as a repayable loan, potentially easing the funding of construction in situations where development finance may be harder to find from other sources. “We’re determined to create a bigger, better private rented sector so I’m pleased that we’re working with Essential Living to deliver newly-built homes specifically for private rent,” said housing minister Brandon Lewis. Housebuilder Inland Homes has agreed terms with a US investor to back its recently launched foray into the private rented sector. The signing of heads of terms suggests a boost to its activities, which launched with an April announcement that it would build to rent at its Drayton Garden Village development near Heathrow. The unnamed investor will back Inland’s initial PRS project, which is set to increase the scale of the rental element at West Drayton from an earlier 123 unit commitment, up to more than 200 homes. In April, Inland secured one of the government’s Build to Rent loans for its West Drayton project. The £8.7 million of financing means work is already under way on a phase of 123 one and two bedroom apartments, which are destined for long term rental. The rental apartments will sit within a larger 773 home development at Drayton Garden Village, where the remainder are being sold as they are developed. Inland, which was established in 2005 and is listed, recently reported a 66% improvement in profits for the year to June 2014. It has a land bank of 3,743 plots with a potential developed value of £1.1 billion. Among the sites with potential for PRS development are Woolwich, where Inland has permission for 152 flats, Ashford Plaza, also with permission for 152 units, and an infill site in Acton. 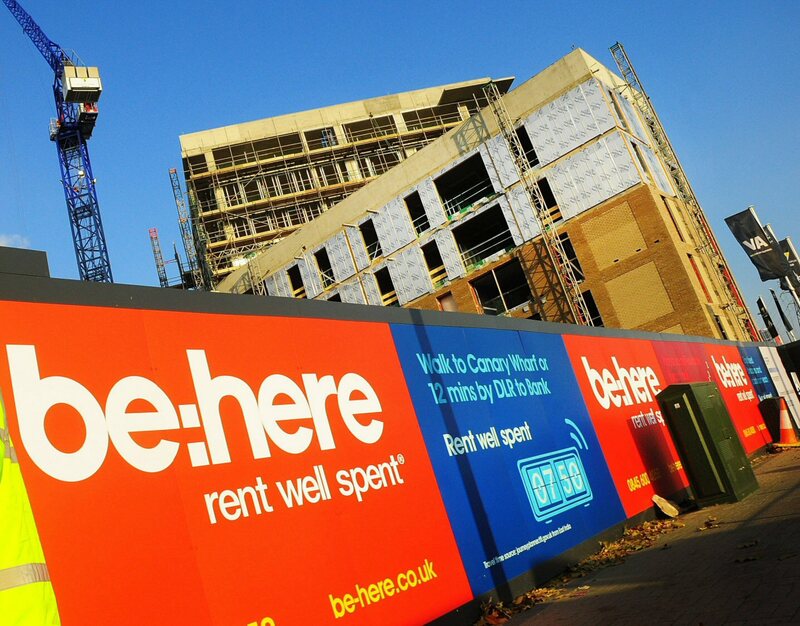 Be:Here, the private rented sector development arm of construction group Willmott Dixon, is another new brand looking to make its mark as a professional landlord in the blossoming sector. The company, which is on site with projects in Hayes, west London and in the London Docklands, will build apartments specifically for renters. And speaking at May’s Forge event in central London, the company’s operations director Simon Chatfield explained some of the company’s thinking. The sector will continue to be dominated by small, buy to let landlords, he predicted. “But you are going to see the emergence of branded landlords.” These brands will provide longer leases, create private rented communities, and deliver a range of value added services, taking care of dry cleaning and other community support items. One issue the sector faces, he noted, is competing with developers building homes for sale. PRS has to fight for sites, bidding against those delivering into a frothy residential sales market. “This is our biggest challenge right now, we think it’s viable, but it’s competing for land in a market that’s overheating.” The lack of any distinction in planning terms is one issue holding back the growth of the sector. Be:Here believes their market is in London, and in suburban locations with up to a 45-60 minute commute to the centre. However, Chatfield cautioned about trying to build too densely in locations where there would, ultimately, be insufficient value.